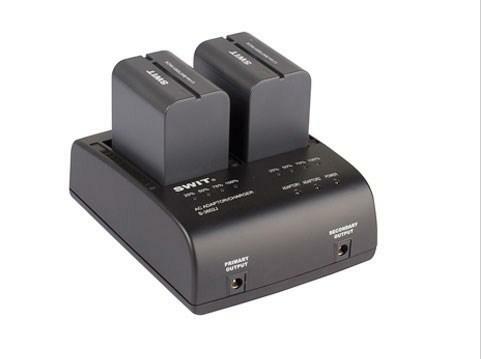 S-3602J is a dual channel charger for SWIT S-8428, and compatible with JVC BN-V428U DV battery. 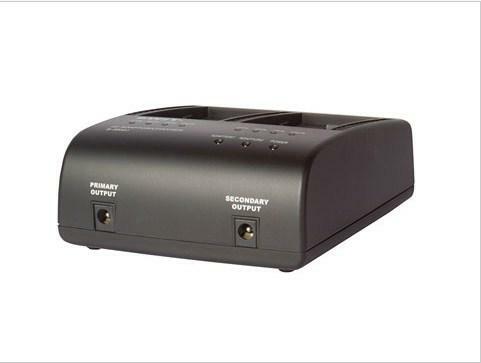 S-3602J has 2x 5.5mm/2.1mm pole sockets for DC adapting output. The DC outputs work simultaneously and provides DC 8.4V, 3.5A in total. 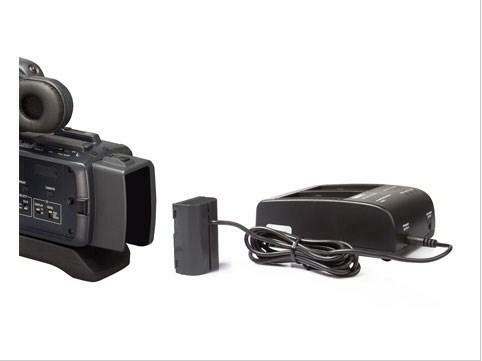 The package also provides a dummy JVC BN-V428U battery adaptor (S-7500J) for adapting JVC DV cameras GY-HD100/101, or the equipments with JVC BN-V series battery mounts.